It’s almost time for students to return to school. That means it’s time for parents to start shopping. Those school supply lists can be very long and, if you have more than one child, that can mean a lot to buy. Don’t worry, there are a few places where you can grab back to school bargains this year. Sales on back to school supplies begin every year in July. Even if your child doesn’t go back to school for a while, now is a good time to start shopping. These places can help you save money. 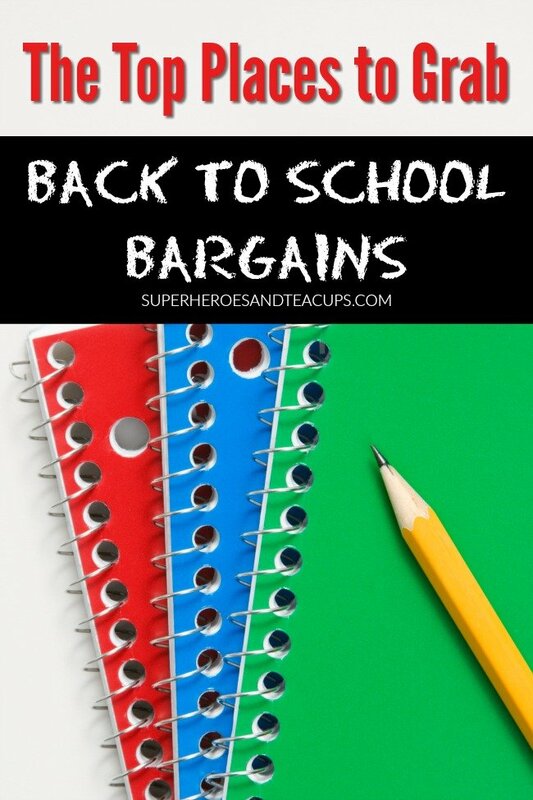 When it comes to back to school bargains, big box stores are a great option. It’s nice to have a one-stop-shop where you can buy practically everything on your child’s back to school list. Many stores, such as Target and Wal-Mart, even provide school supply lists for local schools. Just in case you leave yours at home. Dollar stores, including Dollar Tree, are very popular for their bargains. What you may not realize is that many dollar stores sell the same merchandise that is sold in other stores…including school supplies. You can shop in store or on their website. When shopping on their website, you often need to buy items in bulk, such as 4 notebooks instead of just one. But, if you have more than one child, that could come in handy! It is now possible to do all your back-to-school shopping from the comfort of your home. For many families, Amazon is their go-to online retailer. It is also a great place to find some of those more specific school supplies. If you’ve ever gone from store to store looking for one specific color folder, then you know what I mean. For more Amazon back to school bargains click here! These are the top three places for our family to grab back to school bargains. Do you have a favorite place? Let us know in the comments!